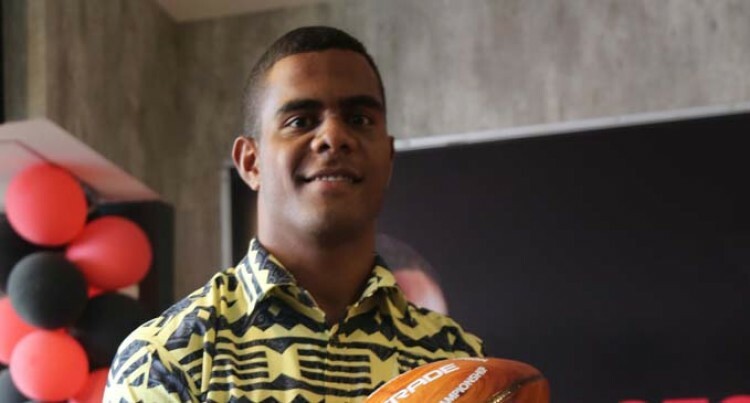 Ratu Kadavulevu School Under-18 rugby centre Solomone Naiduki has signed-up with National Rugby League (NRL) club Canberra Raiders for the new season. The 18-year-old from Matacula Village, Tailevu was one of the key players for the champion team in the Powerade Super Deans Rugby final where they defeated Cuvu College 20-0 last Saturday. “I was scouted by the Raiders last year when I toured with the Junior Bati team to Australia,”Naiduki said. He applauded head coach Naca Sáumi for his input. “For me Deans is history now,”N aiduki said. “We went through a lot this year, it was not an easy season for us but we never gave up. “Coach Naca taught us to be humble and that was the secret of our success. Naca not only teach us on the field but leads and guides us spiritually. The eldest of four siblings, the Year 13 student also aim to set good examples.